Anyone who knows me knows that I’ve got a pretty big (HUGE) Nixon addiction. I absolutely love their stuff. Whether it’s their watches, belts, clothes… they just make great quality products. Of the 13 watches I own, this is the one I take with me on my outdoor adventures: The Outsider. This thing has been with me through thick and thin. Freezing temps, desert heat, swimming rivers… You name it, The Outsider keeps ticking. 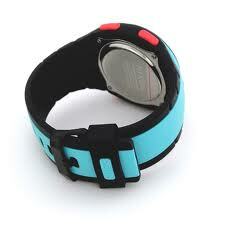 It’s got a heavy duty double injected polyurethane band with stainless steel buckle. The 48.25 mm wide case is rated at 100 meters, constructed of polycarbonate and stainless steel with a mineral crystal face. I’ve put this thing through a lot of grief and there’s still not a scratch on the face. Quality! As far as features go, there are two clock settings in case you’re tracking multiple time zones, a timer, chronograph stopwatch, alarm, and my favorite part, a compass! Located on the face for quick and easy navigation, the compass can guide you home if you’re ever lost. If left on the compass feature, its “sleep” setting displays the Nixon logo. Pretty sick. The only thing I’d say The Outsider is lacking is a thermometer. 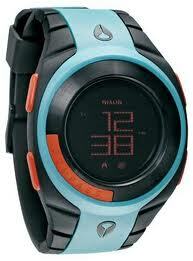 (Nixon has since released The Unit with a thermometer feature.) Otherwise, this is a solid and stylish product that’s built to last the worst you can throw at it. This thing is a beast and part of my kit that I take with me on every trip into the outdoors. Available in a variety of colors. All Points North!